My inbox is filled with women wanting to know the magic solution to better productivity. It’s no secret that momtrepreneurs have a lot to juggle. It’s a never ending to-do list, amirite? The long list that’s pretty much impossible to get through feels overwhelming and it’s so easy to get paralyzed and shut down when there is too much on our plate. The good news is, I’ve got an easy hack for you that will help you get better productivity out of your day! And it only takes FIVE MINUTES a day! At the end of every day I want you to spend 5 minutes getting ready for the next day. Sit down with your Business Owner’s Weekly Productivity Pad and assess your to-do list for tomorrow. You might find it works better for you to do this first thing in the morning and that’s fine. Whatever works for you is what you should do. I find it’s better after the workday is done because stuff is fresh in my mind and ummm…I’m not a morning person so the less I have to do before I get down to work, the better for me! Once you’ve decided on the three tasks that need to get done tomorrow, it’s time to put them in priority order. The important part here is prioritization. It’s almost impossible to be efficient and productive without prioritizing your tasks. When you haven’t identified what’s the most urgent thing to be done it’s easy to get side-tracked with work that isn’t important right now. You know the stuff that if left for later would make a negative impact on tomorrow? Yeah, those go first and second and third. And don’t move on until you’re completely finished! So that’s a pretty easy hack, right? Now for the difficult part. You need to be consistent and do this every single day if you want to find better productivity. 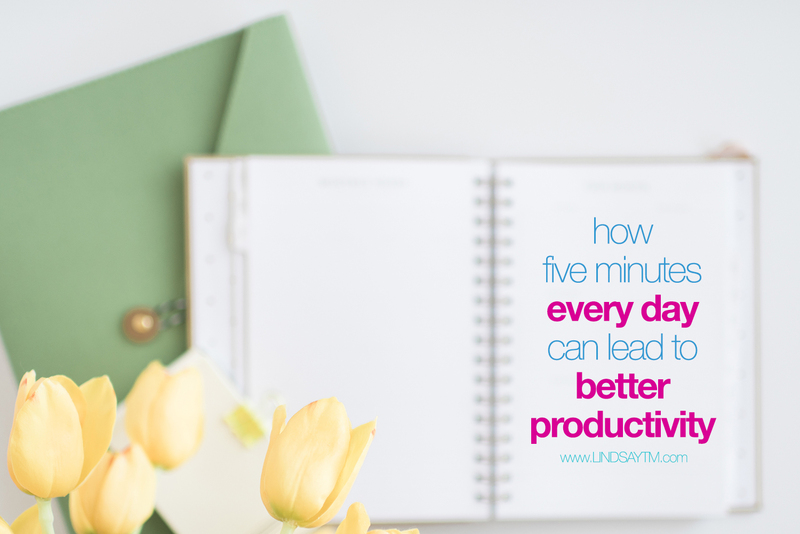 If you do this daily, you’re going to check a lot more things off your list and feel less overwhelmed. Promise! But because I know it takes time to get into good habits, I’m challenging you to do this 2x week for at least 3 weeks and then add another day and so on. I love this! Thanks for the tips! I’ve been using the Business Unusual Tablet and LOVE it. 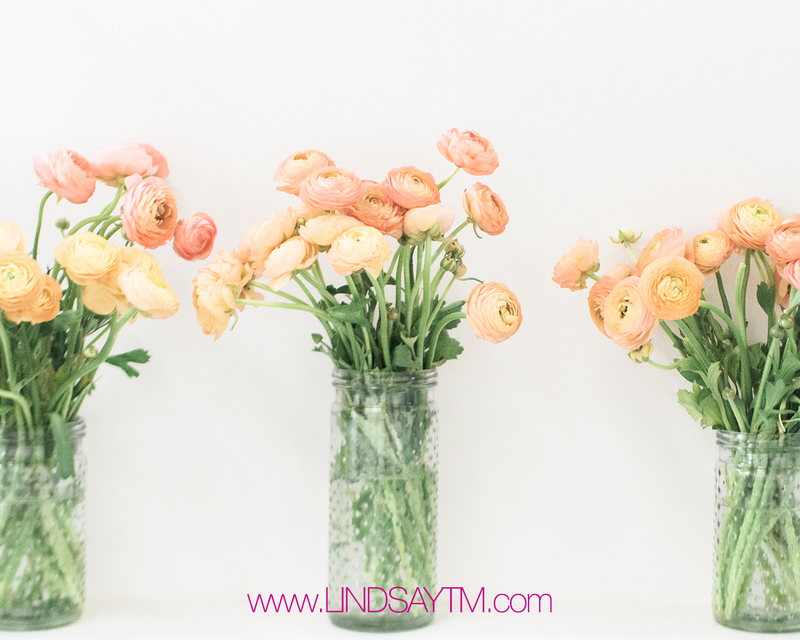 And while it helps keep me on track for the week, the busy-ness of the kids schedules and having a newborn often gets me to the end of the week with many things unchecked. This idea helps break down the weekly stuff into bite size increments. I am definitely going to try it!! Thanks again for all your business tips! For whatever reason, I did not read this email on How 5 Minutes Every Day can lead to better productivity, until today and OH…HOW I NEEDED IT!! I was just sitting here paralyzed by ALL that life is throwing my way right now! THIS. IS. DOABLE!!! Thank you! I love how God is right on time with what we need…and I need to read this email!